Mine: As a big fan of Eastwood directed pictures this was a let down. It just walks through the events without giving us any real insight into them. Left me wanting to know more about this man who returns from war changed. We don't really get to see how he deals with the change. Things just seem to get better. Does the movie think Kyle is a hero? I think it does, but am not sure why. 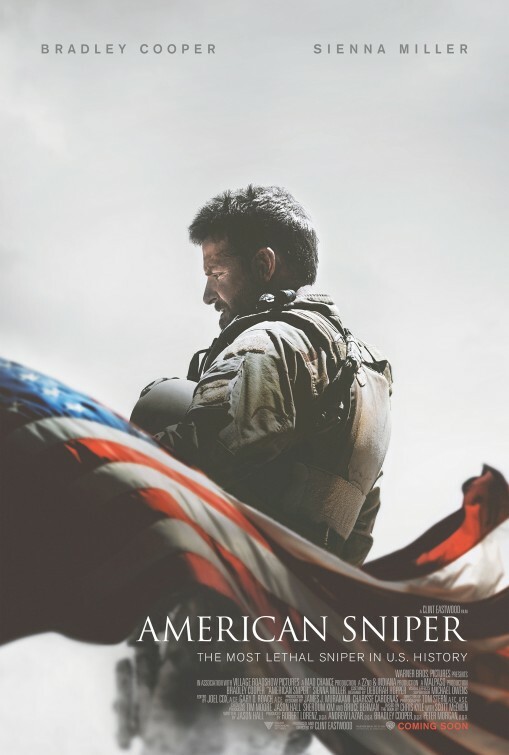 Leonard Maltin/Plot synopsis: Navy SEAL sniper Chris Kyle's pinpoint accuracy saves countless lives on the battlefield and turns him into a legend. Back home to his wife and kids after four tours of duty, however, Chris finds that it is the war he can't leave behind.